So I left the total a couple of weeks ago at 565, down from the initial 644 identified 28mm figures of my plastic mountain I have decided to paint, before I let myself move on to another project. 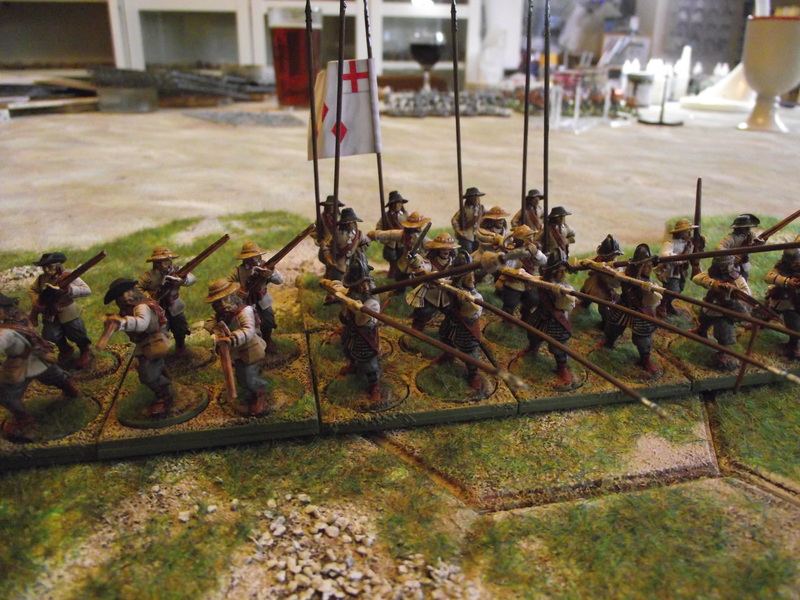 Two 40 man white coated ECW regiments (pictured only one – you’ll have to believe me but it’s exactly the same).They are 16 figures pike/command and 2 12 man musket units. 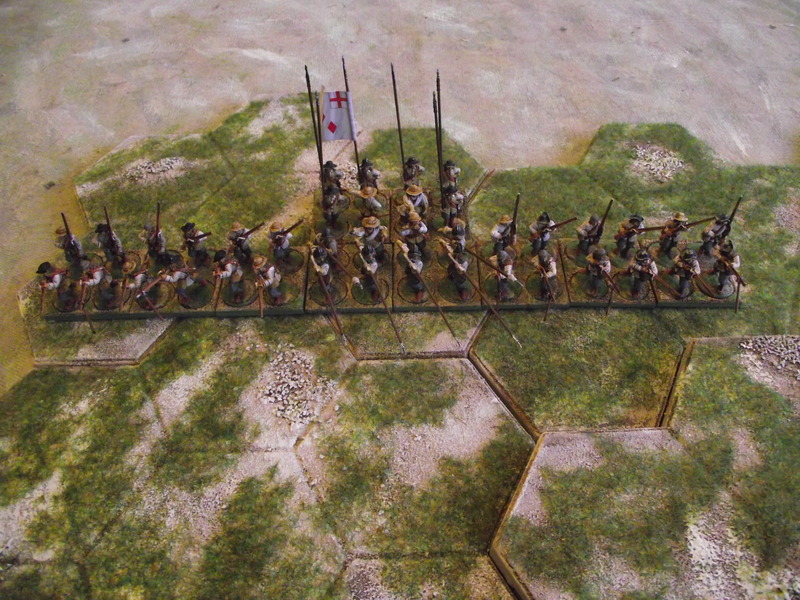 I am looking to use these as Northern Royalist forces. I have two more of these units to go!! So that knocks my total down to 485. I’ve also decided to base my ECW artillery. 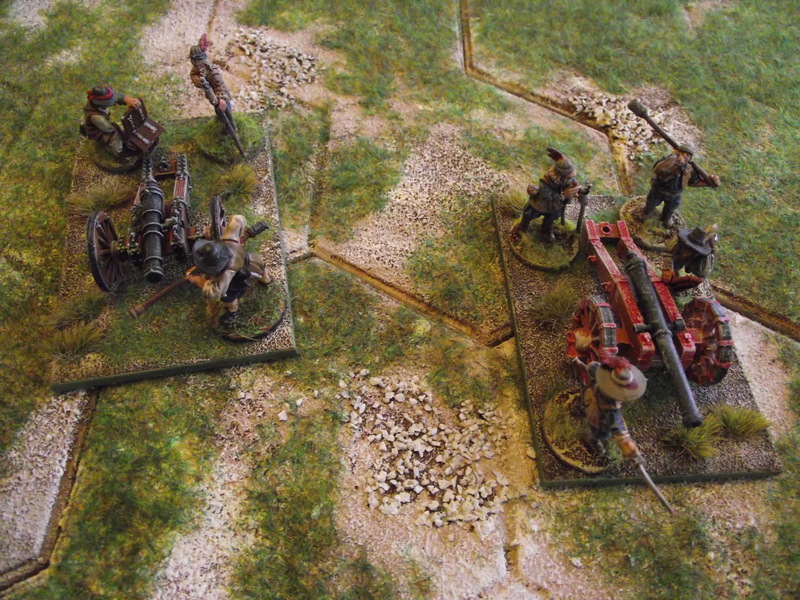 I am doing this simply by making a base and sticking the artillery piece to it – the artillery crew stay separate on top. I think they look better, more like the units they are. 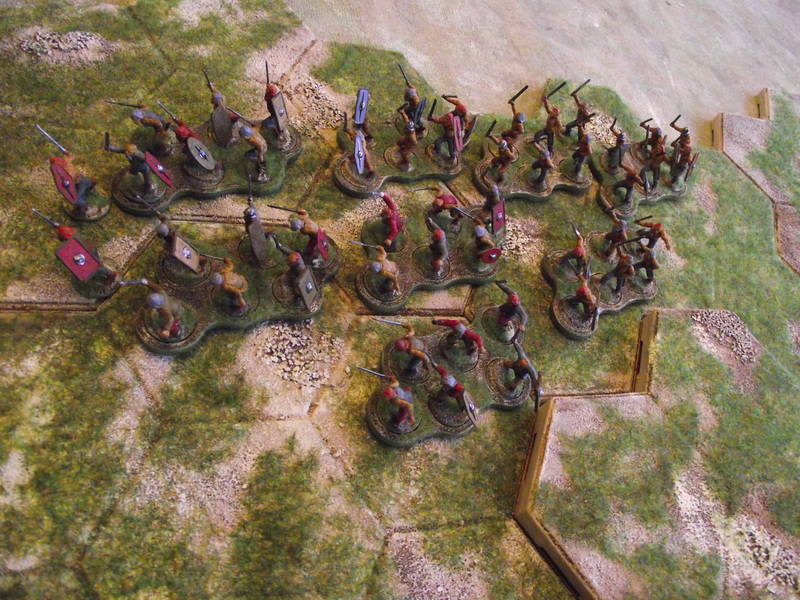 I have also started on my celts – I have 72 to paint in 4 warbands. 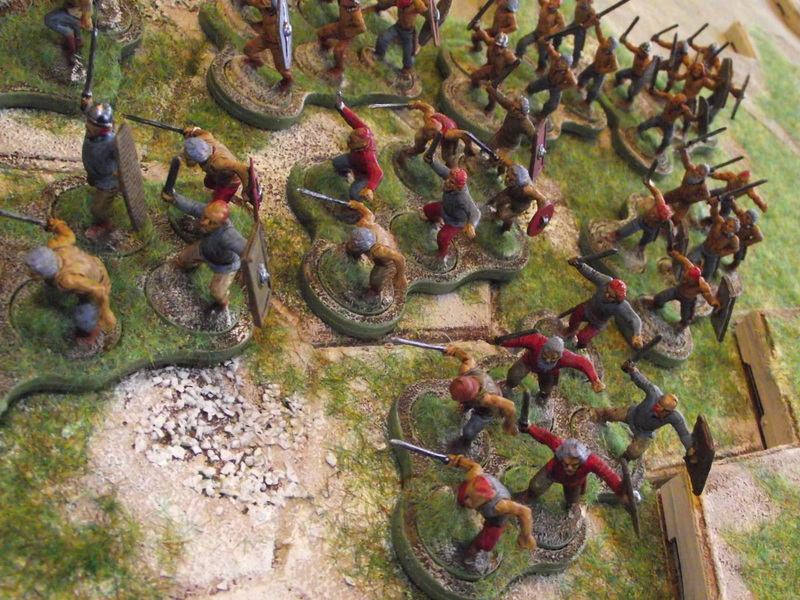 I am painting them in 3 batches – the near naked, the clothed and the armoured. I have finished the near naked and the clothed, making for a total of 50 – so knocking the grand total down to 435. As I continue I am slowing down because I have to make the figures – but I am also learning how to paint mass units better – and integrate the basing into the painting process, which makes to more efficient. I’m also thinking about what the next project will be after I have completed this mountain painting. And strangely nothing is coming out at me – every period or whatever I think of doesn’t give me a new gaming experience – it’s just another army to paint to play a game or system I can already play with the stuff I already own. Have I reached peak figures? As it stands I think my time/money will be spent on rebuilding the table (currently it sits on a ping pong table) and putting a few more shelf units up, and possibly a decent snooker table light over the top. So no figures this year. Good luck with the painting Neil. I go round to Phil most Tuesday evenings to have a bit of social contact but mainly to paint figures etc. Currently I am working on 20mm american forces post d-day and WW1 early russian forces. Good to hear from you! I am determined to make some more shelf space – and finish my projects before moving on – 20mm Russian ww1 sound interesting – what rules are you thinking of using?